Don’t take a selfie with a bison « Nothing in Biology Makes Sense! Apparently this season there has been a series of injuries in Yellowstone National Park. A woman turned her back on a bison in order to take a photo of herself with the magnificent beast. The bison charged the women, throwing her into the air. Seriously though, four other tourists have suffered similar fates this year. 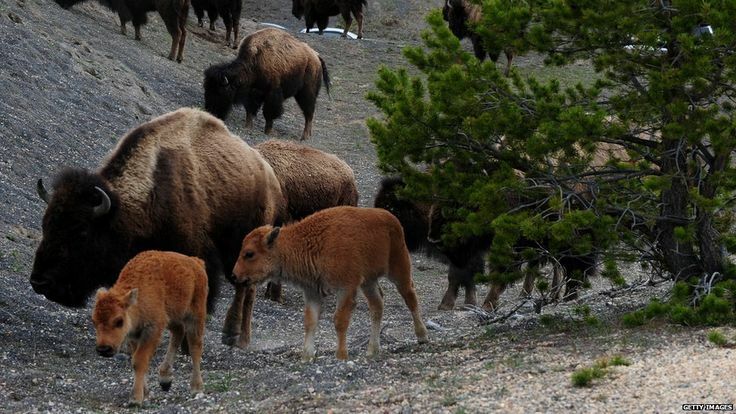 As a result, the Yellowstone National Park officials are advising against attempting to take a selfie with a bison. Just so you know. Read about it over at BBC. I’m tempted to make a comment about natural selection, but seriously, the kid in the white t-shirt is a very lucky little chap. Definitely. Absolutely. I can’t wait to see the tweets/images/awesomeness!